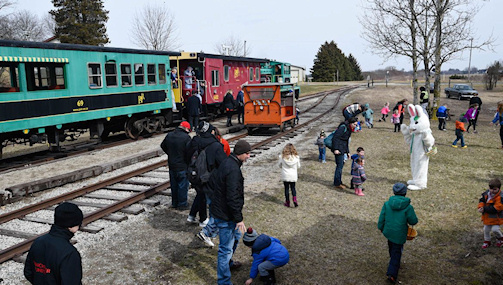 Join us on April 19th, 20th or 21st for a train ride to Whytes where the PSTR Easter bunny is waiting! PSTR is an operating tourist railway. We are located in the beautiful, lakeside village of Port Stanley, Ontario, Canada. We have been operating trains safely for over 35 years and look forward to your visit. We are Elgin County's longest running tourist attraction. All aboard for fun and a scenic ride on the train!